Specify the rebuild cost you need. Cover for homeowners and landlords. Garages, sheds and summer houses included. Our buildings insurance covers your home against losses from fire, storm, flood, vandalism, burglary, vehicle collision and subsidence. Buildings insurance covers not only the main building but also things such as interior decorations, fixtures and fittings (e.g. carpets), garages, domestic outbuildings, drives, patios, gates, fences, walls, swimming pools and tennis courts within the boundary of the property. HomeProtect can provide buildings insurance for homes that are classed as "hard to insure" by others, such as listed buildings, steel framed buildings or those near water. Find out more about the different property types and situations that we can cover. Normally a HomeProtect buildings insurance policy provides up to £500,000 to rebuild your buildings, although more is available if your property needs it. We recommend that you check how much your property would cost to rebuild before getting a quote, avoiding the complications and disappointment of under-insurance in the event of a claim. If you haven’t made a claim for a long time, you’ll be rewarded with a less expensive premium. A HomeProtect buildings insurance policy can be reduced in price by up to 25% through a no claims discount. Home insurance for large homes. For a full list of what is covered and details of cover limits please refer to the HomeProtect policy booklets. 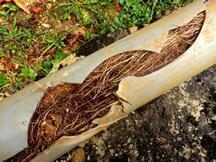 Learn how to avoid blocked drains – and what you should do if they do become blocked. Buildings insurance is a policy that protects the structural aspects of a property, such as the walls, roof, fixtures and fittings against loss or damage. Buildings insurance will cover the rebuild cost of your home; this is not the same as the property’s market value. Buildings insurance covers the structure of the home together with its fixtures and fittings: it covers the cost of repair or rebuilding after fire or weather damage for instance. Contents Insurance covers the contents of your home, the possessions you would take with you if you moved house. Will my Buildings Insurance cover my outbuildings, such as the garage and shed? Yes. All domestic garages, outbuildings, sheds, extensions and conservatories fall under the definition of Buildings and are covered by your Buildings insurance. Please check that the level of cover included in the policy is enough to rebuild all your outbuildings. 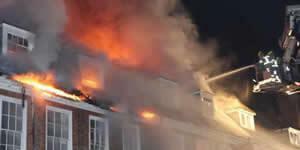 Do you need buildings insurance on a flat? If you own the freehold of your flat, you should take out buildings insurance. If you live in a leasehold flat, or are a tenant, your landlord has responsibility for sourcing buildings insurance. What does the building insurance cover? How do I find out when my property was built? When you purchased the property a homebuyer’s survey is likely to have included the date of construction. Your local authority may have a record of when planning permission was granted to build the property. Your neighbours may have an idea of when the property was built. Note: A rough estimate of the property construction date is enough for the purposes of getting your home insurance quote. 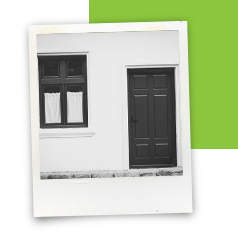 Search for your property for free in the 1862 Act register on Land Registry’s digital archives (at https://www.gov.uk/1862-act-register). Look at the architectural style and features of the house, particularly the roof and windows. Check your county record offices, local parish records or ask to view local archives at your library. Look for old copies of Ordnance Survey maps for your area (local library). Google for a local historian or a historical society and contact them to see if they can help you. Look at census data between 1841 and 1911 to find the first year that the address was mentioned. I don't understand all the technical terms, can you help? We've put together a handy glossary of buildings insurance terms to make all understanding policies and phrases easier for you. Really pleasantly surprised at the attitude of this company - couldn't have been more helpful in starting a new policy. Situation was not straightforward but the representative referred to a supervisor when in doubt and a positive response was given very quickly. Impressive! Alternative accommodation provided for you and your pets up to a maximum of £30,000 per claim, if you can’t live in the home due to an event causing you to make a successful claim.